The Revd. Ian Horner has been appointed as Rector of the Bailieborough Group of Parishes in the Diocese of Kilmore, Elphin and Ardagh. He has been the Curate of the Bailieborough Group since August 2014. Ian is originally from Greystones in Co Wicklow. Having earned qualifications in Business Management and in Sound Engineering & Music Technology he went to work for The Leprosy Mission Ireland. Following that he spent 5 years as Youth and Children’s Co-ordinator at Kill O’ The Grange Parish in Dublin. 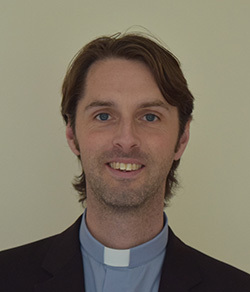 Having felt God’s call to ministry he started training in 2011, and was ordained as Presbyter in 2014 after completing placements in Christ Church Bray, Christ Church Wharton (Cheshire, Uk), The Parish of Powerscourt with Kilbride, and serving as Deacon in Greystones Parish. Ian’s Institution will take place at in Bailieborough Parish Church on Sunday 27th November at 7pm.